Another meeting minutes first page. 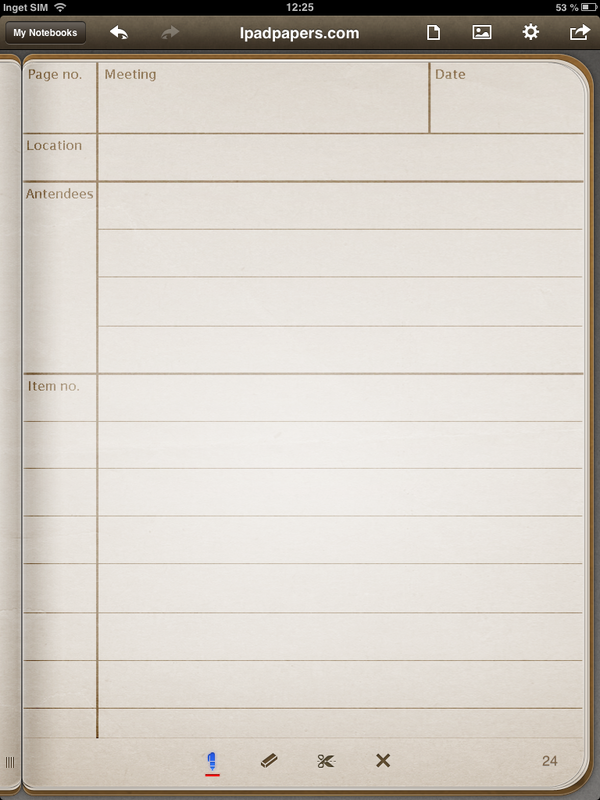 This page has besides page number, meeting name, date, attendees also location, when that is important. To be used with either "simple meeting minutes" or "meeting minutes with items"
This is a first page for writing meeting minutes. 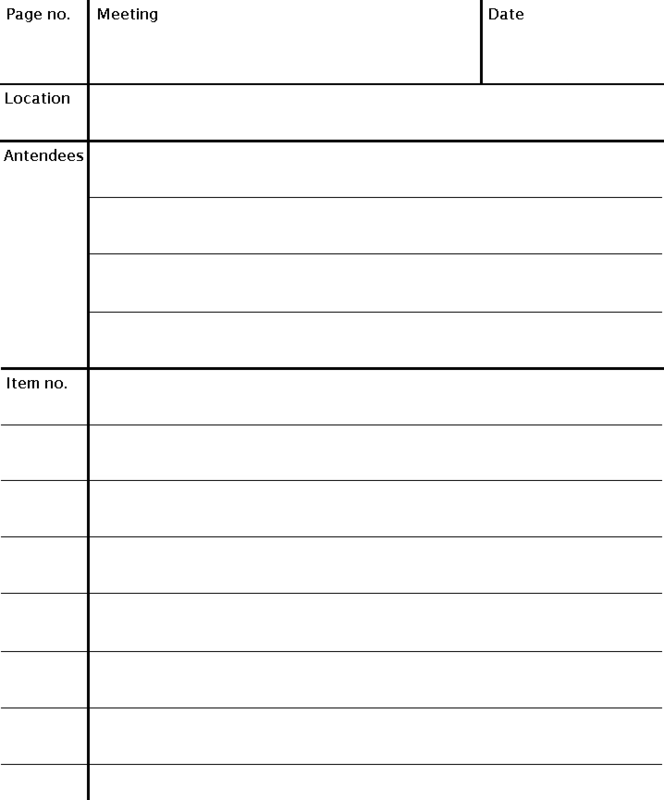 It has date, meeting name, page nr, attendees and a few lines with item numbers. 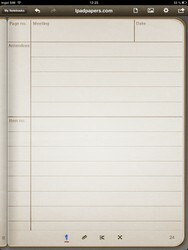 To be used with either "simple meeting minutes" or "meeting minutes with items". 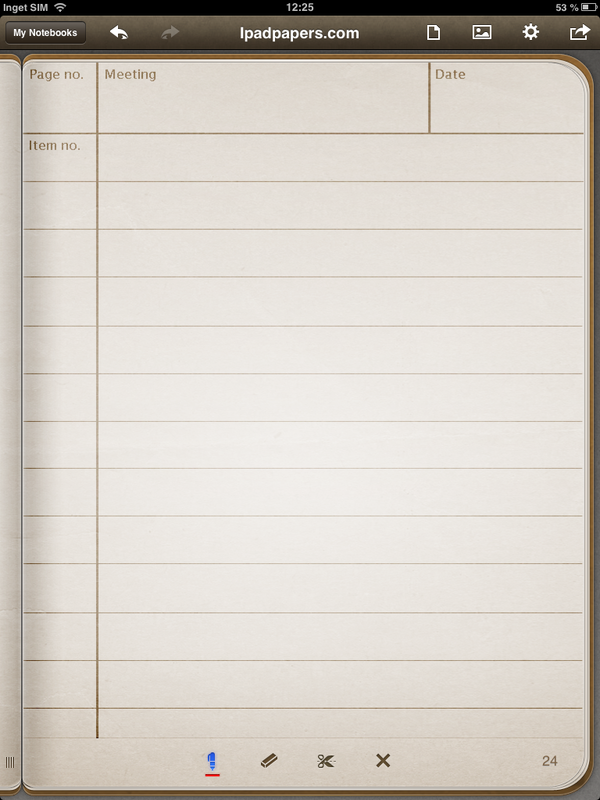 Another meeting minutes template. 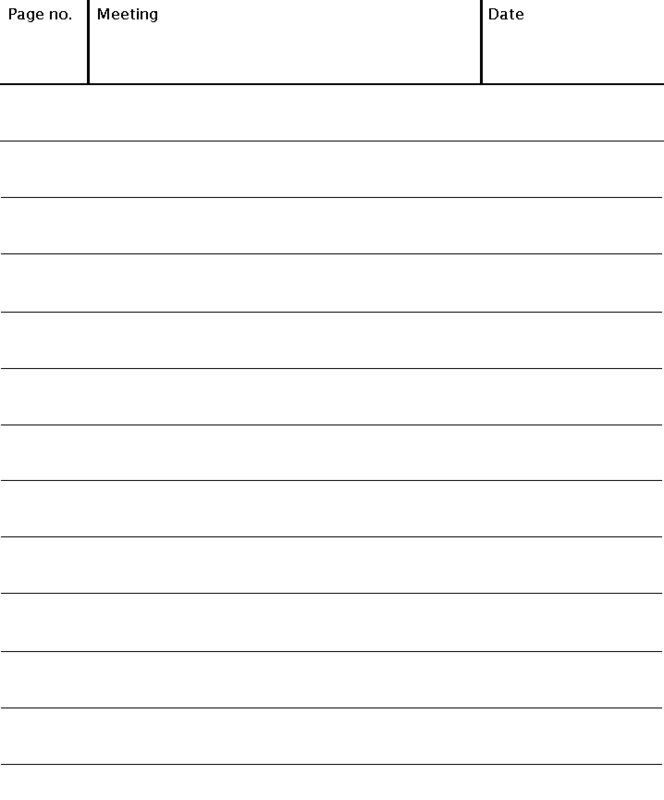 This one has a column for Item numbers. 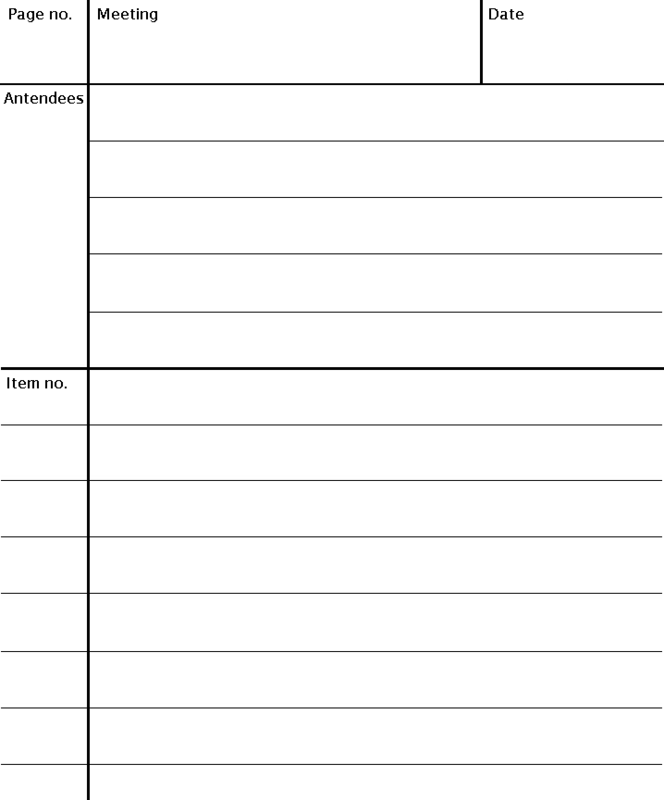 A simple meeting minutes template with date, meeting name and page nr, and rows for minutes.